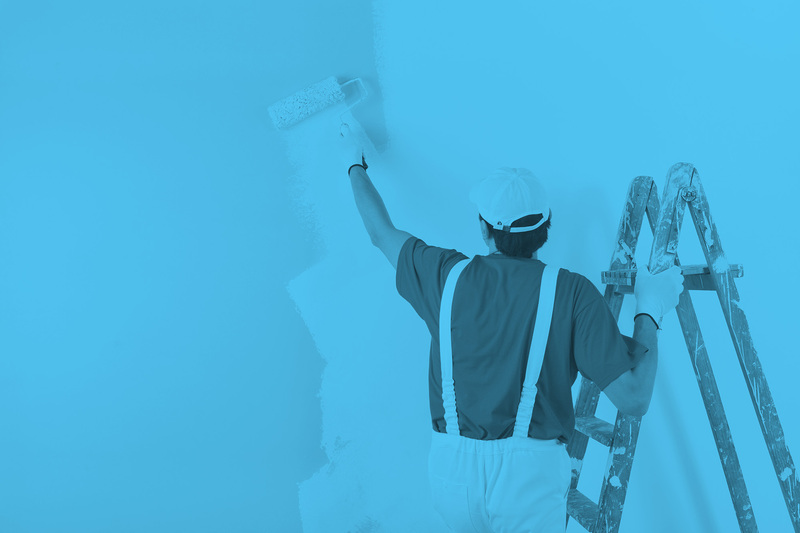 Stop asking yourself, “Who’s going to paint my house or office?” Interior painting isn’t as easy as it looks. However, getting your house painted by our interior painting professionals is. Contact us for your painting service needs and we’ll start on your upcoming project. Whether it’s simple house painting, drywall installation repair, putty coating, acoustic popcorn ceiling removal or fireplace resurfacing, there’s no job too big or small. We can handle more than just painting and look forward to servicing your St. Louis area home painting project. Check out our home or office painting services. We hang drywall on all walls and ceilings from one sheet to several hundred. We have hired and trained expert drywall installers to finish all size projects. Artisan Textures and Drywall, Inc. makes sure that we install each drywall sheet with quality, precision and by California standard code. All walls and ceilings can be skimmed to cover that old orange peel splatter to make it smooth. It is the first stage of level 5 smooth wall. Walls and ceilings damaged by any circumstance, commercial or residential, major or minor. We patch and seamlessly match the texture like it never happened. Our Drywall Repair services includes: ✔Repair of Cracks. We repair cracks that mar your living areas. ✔Repair of Holes. We fix plumbing holes, electrical holes, any kind of holes. ✔Repair of crumbling walls. If your basement is disintegrating we can fix it. First and foremost we ask you to take a sample of the popcorn ceiling and take it to a separate lab in San Diego for Asbestos testing. Usually same day results. When the results of testing are confirmed to be negative for Asbestos, we will then determine to remove that old out-dated acoustical ceiling and add the desired hand texture or smooth ceiling. Learn More about our Acoustic Popcorn Ceiling Removal Services. We do light demolition on existing walls and ceilings and haul it away. There are two basic types of textures: Spray and Hand troweled. Whatever the texture may be, we will match the existing texture seamlessly. Our business is known for applying flawless textures free from distractions. Our team members are hired on the basis of high quality work and craftsmanship. Basically the skeleton of your walls and ceilings. We are expert framers and can work with either metal or wood studs. We transform any square arch way into a round custom arch, in which adds interest and personality to your homes entry way. We also customize in opening your wall half way to shape it like a mini arch for candles, pictures, artifacts etc. Also, we can bullnose every wall corner in your home for a beautiful updated look. We cover your old brick, stone, tile etc. surfaced fireplace and re- construct it to give it a custom finish of American Clay Plaster or Venetian Plaster that will awe your every expectation. Interior venetian plaster also known as, venetian stucco, has beautified the essence of real and original artwork. Each wall and ceiling re created through the use of limestone plasters each with re defined, natural color ingredients. This amazing application of Old World Italian Venetian Plaster (limestone base with stone or marble powder), brings a unique touch specifically to fit your lifestyle. Exterior painting can be a daunting and expensive task. It’s important to get a quote before starting any painting project. The price depends on a variety of things such as: 1.) When was the last time the house was painted? 2.) How many stories is your house. 3.) How many walls do you need painted and what type of exterior walls are they? Are they clapboard, masonite, Stucco, etc? 4.) What type of Overhang is on your home? Tell us about the Gutter, Fascia, and Soffit? 5.) How many windows surround the home? 6.) Does your home have any dormers? (a dormer is a window set vertically into a small gable projecting from a sloping roof.) 7.) How many posts does your home’s exterior have? And do you want those painted as well? 8.) Tell us about the doors of your home, how many do you have and do you want those painted as well? All of these factors will determine what’s the perfect painting service for you. Because of all the factors that formulate an exterior painting estimate, the best way to get a true and accurate assessment is to have League Painting come out and write you a free bid. Over time, mother nature can destroy anything which is outdoors that’s not properly protected and maintained. This is especially true for things made of wood, such as your deck. That’s why properly sealing wood decks with a quality protectant and following a regular maintenance program is very important. These natural occurrences are quickly absorbed into unprotected wood causing it to soften and swell. The heat of the sun causes drying, which makes the wood shrink. These cycles of wet and dry create a swelling and shrinking effect, which will cause wood to warp, cup, split and crack. To protect your investment you must finish the deck surfaces. Proper preparation and application of a deck coating system will dramatically improve the appearance and extend the life of your deck. At League Painting, we can pressure wash your deck before staining it. Each exterior surface is unique in its pressure washing needs. We prepare to clean each home individually due to the differing effects of sun exposure, environmental conditions, and age. We utilize various tested and approved cleaners that are most effective for pressure washing and maintaining a bright appearance after cleaning. Rust, black mold and mildew, green algae, gutter acid rain stains, dirt, egg, bug droppings, and deck sealer over spray, all require a special pressure washing procedure. Our technicians are the most knowledgeable as to the effects of which cleaners are best needed for each particular siding surface. Our company will apply low water pressure with the proper cleaners to gently lift off the dirt and then rinse thoroughly. Water pressure that is too strong may cause streaking if the siding has white chalky oxidation. A surface such as exterior gutters will require additional scrubbing with a brush. Spider webs and window panes need wiping as well. These areas will not come clean with pressure washing alone. We will rinse all exterior windows well as to prevent streaking from necessary cleaners. Extra care is taken with surrounding landscapes and surfaces. All cleaners are biodegradable. Call us today for a pressure/power washing bid in St Louis! Furniture painting is a service we’re happy to provide. It’s one of the painting services we’re most passionate about. Refinishing your furniture is a great way to add that fresh and new look and feel to any room in your home. It is very budget friendly and will allow you to save on time and money. Painting your furniture can be a fun way to make your furniture like brand new without spending a lot. When you paint the furniture then you also preserve them for longer use. Check out our prices on this incredible painting service. We’re more than just interior and exterior painting. Do your cabinets look old and worn out and even outdated? Have years of use left ugly marks, scratches, nicks and dings on your cabinets? Cabinet painting is the perfect answer for this dilemma. Cabinet painting will dress the room up – giving a whole new revitaized look to your kitchen or bathroom. A highly skilled cabinet/vanity painter can give you the help to transform your outdated kitchen or bathroom cabinets and vanities with the new look you want. It can be done in less time than you would think. Garage and basement floors take a lot of abuse – whether driving your car on it, dropping tools or just plain storage – garage and basement floors need a paint with extra strength. Normal paints do not dry hard or thick enough to provide the necessary durability. The paint we typically use is epoxy paint.